Trying a new board game can be intimidating, especially faced with a hefty rulebook (and sometimes hefty price) and hundreds of differently coloured pieces. Or maybe you love board games but struggle to find others to play them with you. If either applies to you, why not come along to Tūranga's new weekly board games club, starting next Monday 4 February, 5-7pm! You can grab a game from our collection or bring along your own, and there'll be librarians on hand to get you started if you need it. We have a range of games available at Tūranga which you can play any day we're open -- next time you visit come and have a look at the collection on the Hapori | Community floor. Games range from classics like Connect 4 and Scrabble to longer games like Catan or Pandemic. 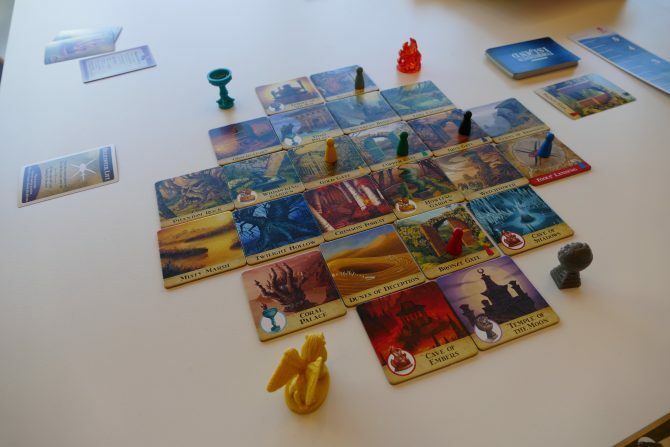 One of my favourites from our collection is Forbidden Island, a cooperative adventure where everyone has to use their different skills to find the lost treasure before the island sinks. You can set different difficulty levels from novice to expert so it'll continue being a challenge no matter how many times you play. Plus the artwork is gorgeous. What are your favourite games? Are there any that you've always wanted to try?